I love learning about the Amish through fiction novels especially about the running around years and finding their life partners. It is all fascinating. 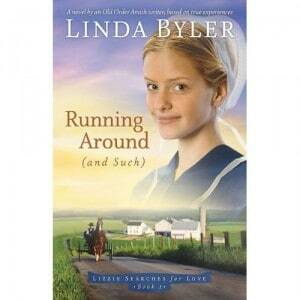 Running Around is based on true life experiences so it is very true to the Amish way of life with real details. I enjoyed the story and most of the characters but I have 2 major annoyances with the book. Lizzie is too self-absorbed. At times her attitude is understood and founded while other times it is really annoying. I loved hearing about the times when she was agreeable and would have loved to see more times like that. The other annoyance was that I expected more about Stephen with him being mentioned on the back of the book and all. I was expecting him to be a good friend but you only hear a few references about Stephen. I read the book all in one day so that is a testament that it was indeed a good story despite the annoyances. I would even be interested in reading more in Lizzie Searching For Love series; I expect she will mellow down and settle in her way of life eventually. The story isn’t finished at the end of Running Around but is expected to carry on to Book 2 in the series. I look forward to seeing how questions get answered and problems get settled. This isn’t a stand alone novel as nothing was resolved. I think this would be a good read for teenage girls and those adult women who like to read books on that caliber. Buy It: You can buy Running Around (and such!) for $13.99 US.